For those of you who haven’t read the amazingly epic Image comic called ’68, go get it now. 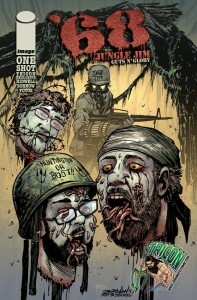 For those of you who know how great it is, check this out: Tricon is getting the first ever ’68 exclusive con cover, and it features the familiar faces (er, heads) of the convention co-founders (myself and Eric Watkins), friend Jordan Lowe, and one of my favorite characters in comics, the dude named Jungle Jim. Have I mentioned how much I love this industry and the people in it?